The Paterson Housing Authority has revised its demolition and rebuilding plan for the crime-ridden Riverside Terrace to construct 245 units of housing for families and senior citizens at one-go rather than in four phases. Irma Gorham, executive director for the Paterson Housing Authority, said the revised plan will reduce projected completion time from 4-5 to 2 years. Once completed, the series of townhouses which will cost an estimated $50 million to build, will provide housing to 165 families and 80 seniors, she said. There’s also a community center that is being constructed as part of the project. She also has a separate plan to build a $55,000 retail structure fronting Route 20. Gorham needed the council’s approval for the revised plan to build affordable housing units on Tuesday night. Gorham received both praise and criticism. “Time and time again I keep getting the same calls from constituents,” said Michael Jackson, 1st Ward. He criticized Gorham for failing to provide documents and not responding to his phone calls about residents’ complaints and concerns. Jackson said the agency is putting the interest of developers ahead of those of residents. “We need affordable housing,” said council president Ruby Cotton interrupting Jackson. “What we don’t need is our people being taken advantage of,” retorted Jackson. He criticized the deal the agency has working on with Roizman Development of Pennsylvania. As part of the deal the agency will sell 17 acres to the developer for $3.2 million. Jackson thought the price was too little. Gorham said the deal has yet to be finalized. She said the ownership of the buildings will revert to the agency after 15 years. Jackson also criticized a 90-year payment in lieu of tax (PILOT) deal. “This is an example of big pimping,” he said. Gorham said the deal will likely result in more taxes being paid to the city than at present. Jackson was the sole vote against the two measures endorsing the need for affordable housing. His colleagues favored the project. “Seeing this put a smile on my face and my heart,” said Luis Velez, 5th Ward councilman. He liked the revised plan and its one-go approach rather than phases. The derelict housing project has been a problem for the 3rd Ward. William McKoy, 3rd Ward councilman, said the new townhouse approach solves many of the design flaws that created a crime problem at the housing complex. Gorham was expected to demolish the building this year. However, she has yet to secure the needed funding, she said. She also has 150 people living at the ramshackle housing project who have to be re-located elsewhere. Gorham said she is waiting for rent vouchers to move those residents out of the buildings. Many of the buildings at the site have been vandalized and boarded up. It will take five months for her to relocate the tenants, she said. This is the third demolition and rebuilding of a troubled housing project in the city in recent memory. The city demolished the old Alexander Hamilton Housing Projects or the Alabama Projects to build townhouses. Prior to that it demolished the Christopher Columbus Housing Projects to create the Smoot Village. Both have been successful efforts. 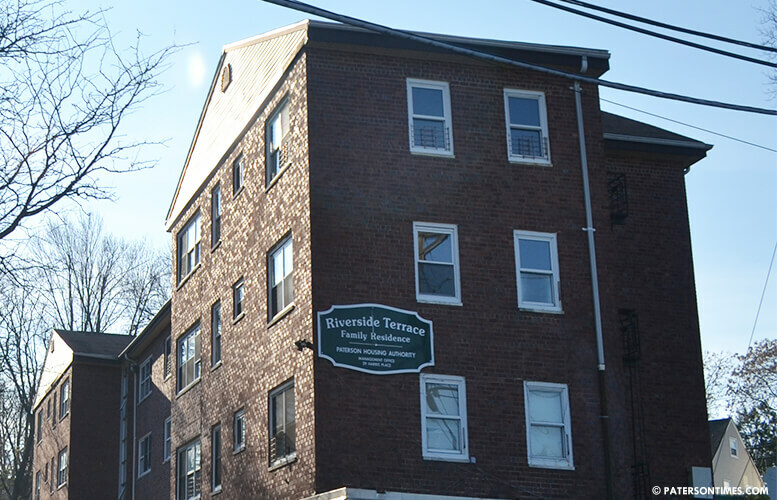 Gorham is hoping the new Riverside Terrace will be open for residents by 2020.